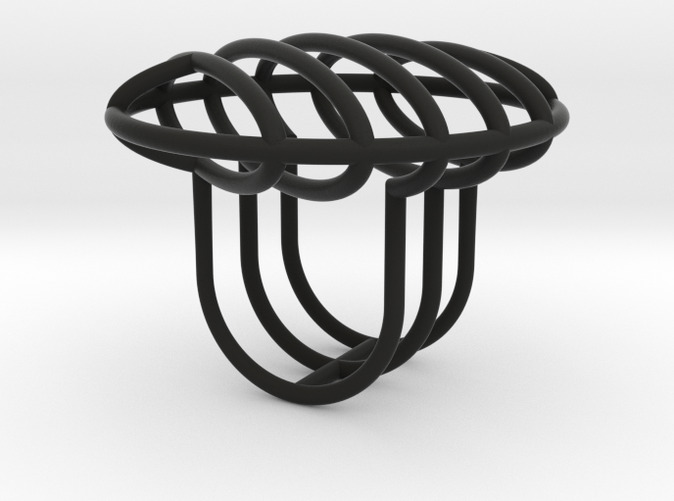 The Space Rings are architectonic structures to wear on your finger. 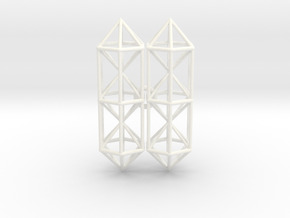 Each 3D printed piece outlines a differently-shaped volume of space: triangular, circular and square. Inspired by minimalist sculpture, the unique designs perfectly combine the strength and lightness of nylon with clean, geometric forms. 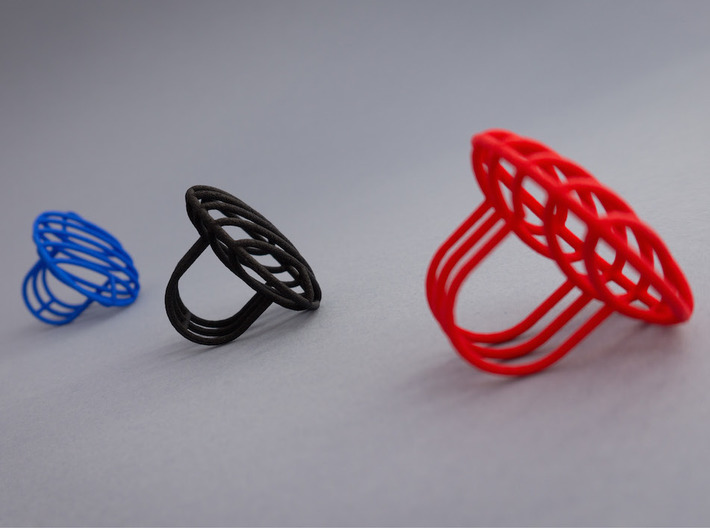 The 3D printed nylon structure is polished to a smooth, matte finish. 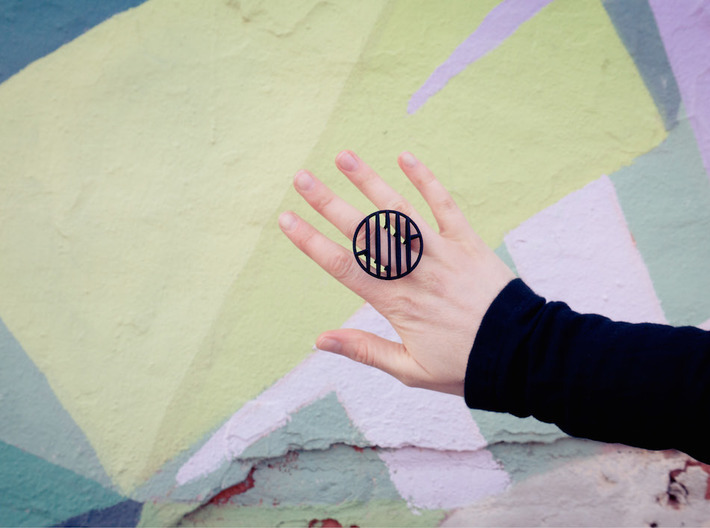 The internal diameter of the ring is 18mm. It's only available in this size for the moment, but in the near future I will make a smaller version. 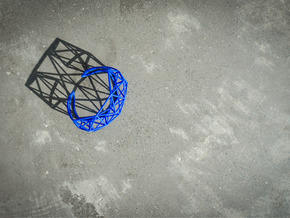 The Space collection is all about fine, architectural structures that can only be made in one piece with 3D printing. 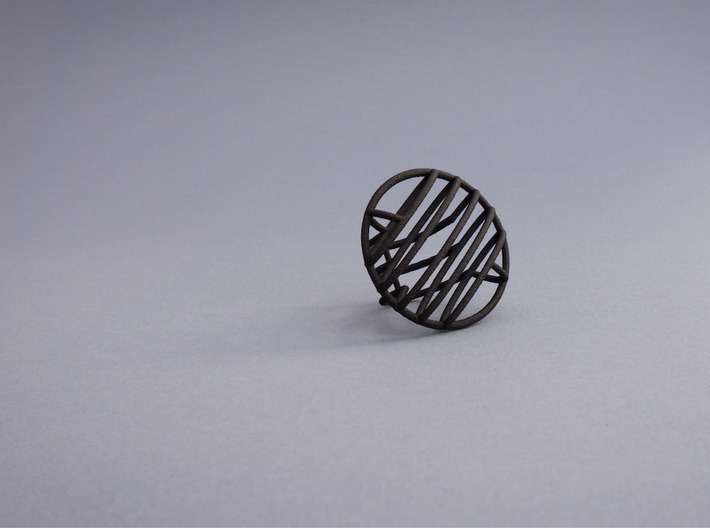 The designs are extremely lightweight geometric forms that would be impossible to make using traditional manufacturing processes. 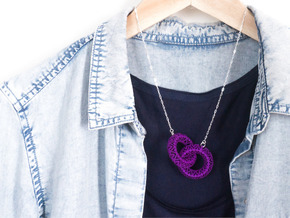 This makes the Space collection highly original and with an aesthetic that's completely new to jewellery design.